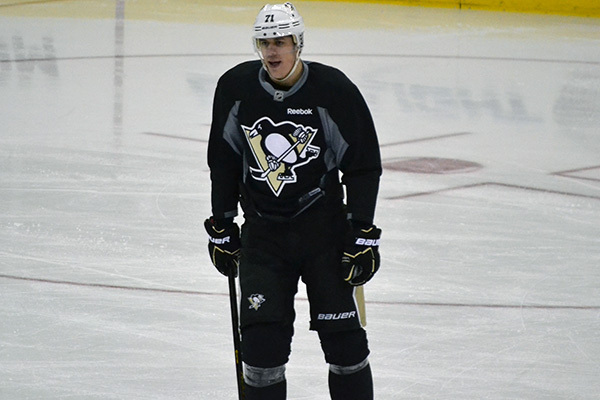 "Seven devils all around you, seven devils in your house..."
Penguins captain Sidney Crosby will rejoin his teammates for practice Friday afternoon at Southpointe. 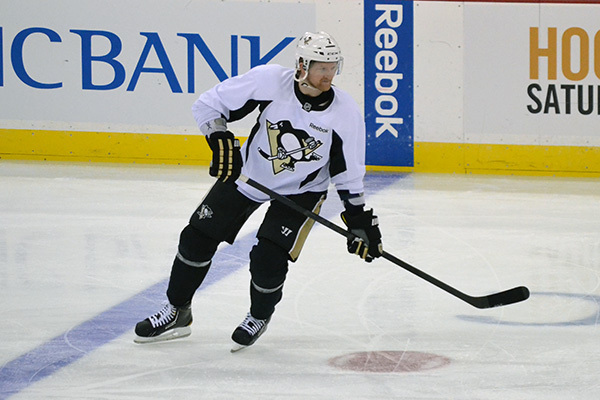 Paul Martin underwent surgery on a broken bone in his hand on Sunday, March 31 and was projected to miss 4-6 weeks. The good news is that it's looking like Martin's recovery will be on the low end of that timetable. 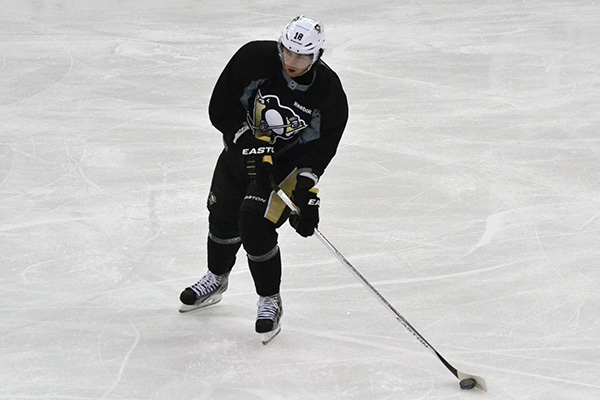 He joined team practice this week and participated in Thursday’s morning’s skate prior to Pittsburgh's game in New Jersey. And while Martin won’t play tonight, he said he feels “great” and is hopeful to play Saturday in the regular season finale at home vs. Carolina. Martin said he would like to get a game in before the playoffs start next week, but cautioned that there’s no guarantee that he will. 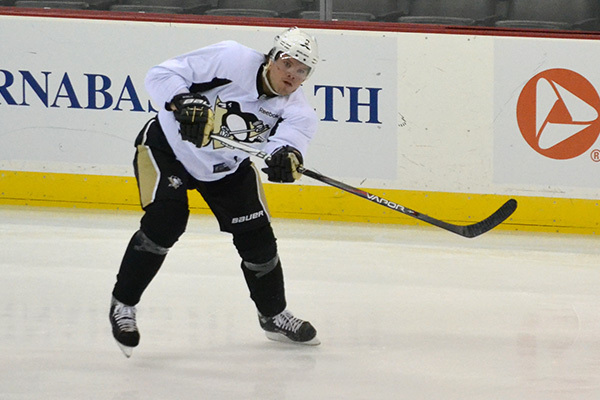 Martin said being able to grasp his stick and stickhandle for a while now has helped in his recovery. 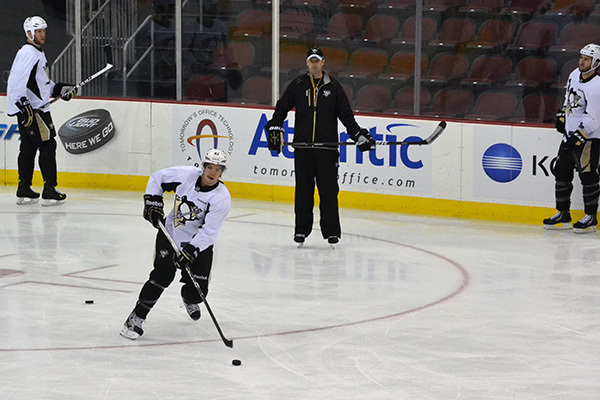 Coach Dan Bylsma said Martin and Neal are back to full practice, but will NOT play tonight. Martin is hopeful to play in the regular season finale Saturday at home vs. Carolina. When asked if it's important to get the injured guys in a game before the playoffs begin, Bylsma answered, "to get back in and play is definitely a better thing than to not and wait till Game 1 of the playoffs. Having said that, we can’t get players back in and rush them back in to get that one game, and we aren’t going to do that. In terms of James Neal and Paul Martin, they’re returning to practice and that’s a good sign that they’re able to get out with the guys and practice and be in those situations. If they’re capable and it’s a good thing for them, then we’ll hopefully get them in for one game before we go to the playoffs. 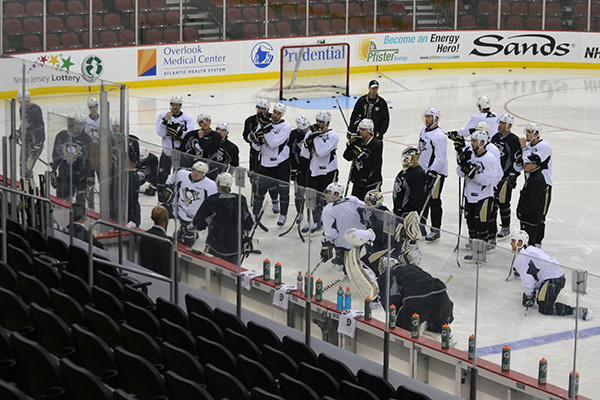 But if that’s not the case, hopefully they can practice for the week with the group and hopefully be back for Game 1." 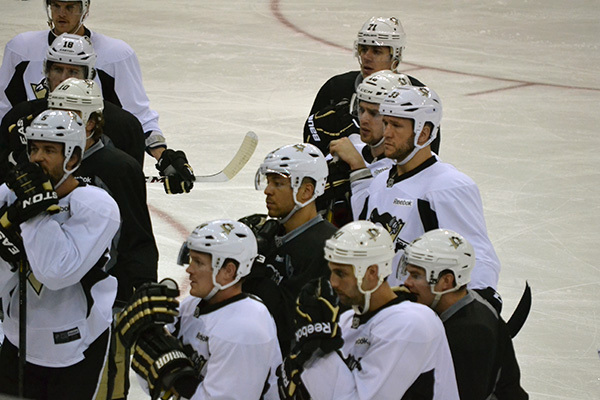 Bylsma also said that Orpik (lower body), Vitale (lower body) and Crosby (dental work) all stayed in Pittsburgh. 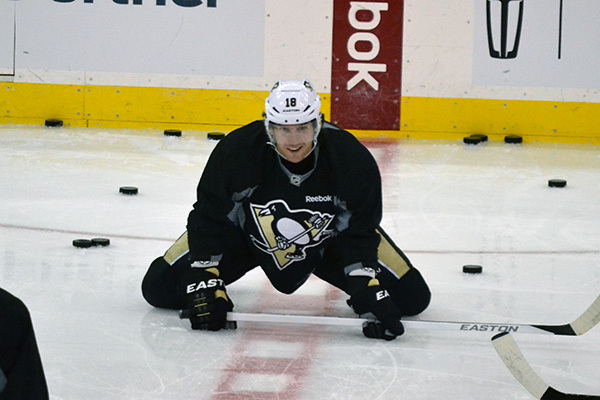 Orpik and Vitale are day-to-day. 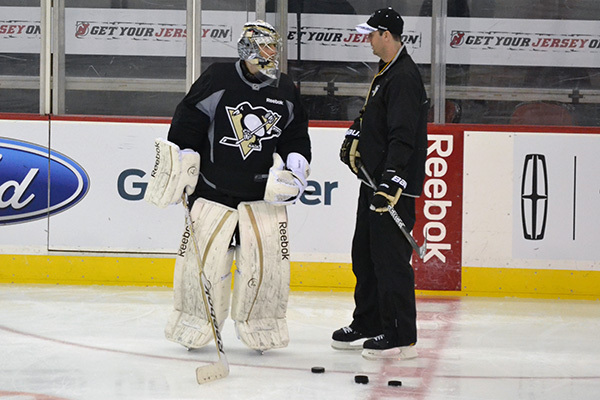 Marc-Andre Fleury will start in goal. The rest of the lineup is game-time. 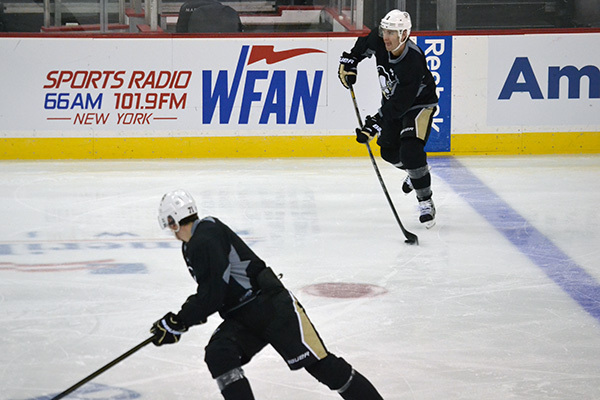 Defenseman Paul Martin and winger James Neal are on the ice for morning skate. Martin has missed the last 11 games with a broken hand and Neal has missed the last seven games with a concussion. 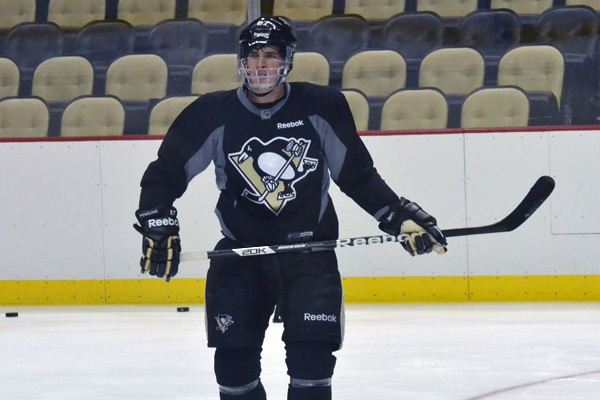 However, defenseman Brooks Orpik (lower body) was absent from practice. Orpik left Pittsburgh's last game against the Sabres on Tuesday after the first period and did not return. Coach Dan Bylsma said after the game he would be re-evaluated. The Devils were officially eliminated from playoff contention on Sunday, the first time in six years a Stanley Cup Finalist has failed to make it out of the regular season the following year (they fell to the Los Angeles Kings in six games in 2012). The Devils, who have won two of three against the Penguins this year, began the season with a scorching 8-1-3 start – but their play started to decline in mid-February. That’s right around when they lost Hall of Fame goaltender Martin Brodeur, who went down with a back injury Feb. 24 – pulling himself from a scheduled start against Winnipeg that day after warmups. He missed a total of 13 straight games (10 due to injury and three serving as a backup). The Devils went 3-8-2 in his absence. Good morning hockey fans! The Penguins are in New Jersey to play the Devils tonight at Prudential Center for their final road game (and second-to-last overall game) of the regular season. Pittsburgh will be looking to rebound from a 4-2 loss to Buffalo on Tuesday that snapped a seven-game winning streak. I actually got to take one of the Jersey trips this year (where we ended up getting snowed in during that massive storm back in February...it was my first trip of the season, so I nearly got banned from taking any more since I was "bad luck"). And during warmups, New Jersey's game entertainment staff played Florence + the Machine’s “Seven Devils” … which couldn’t be more fitting. I adore the song, having seen it used in a lot of my favorite TV shows recently, so I asked Sam if I could start the blog just to play it. And he obliged, so here it is…enjoy!